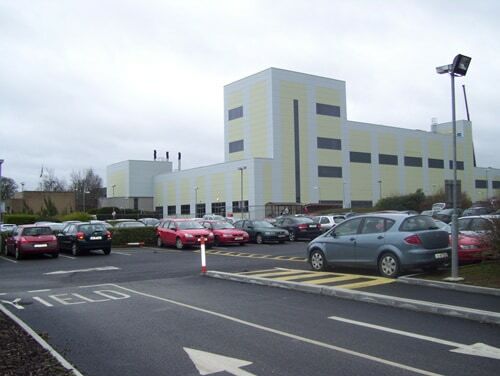 GlaxoSmithKline Dungarvan – Duggan Brothers Ltd.
Project Hilo involved the expansion of the Production facilities at the existing operating OTC plant for GlaxoSmithKline in Dungarvan. The Project comprised the construction of a new 4 storey 2600m2 building adjacent to the existing live facility including tie ins & refurbishment to the existing plant, etc, all of which was carried out on a phased basis within a very stringent construction programme. The building structure consists of a steel frame with metal decks to receive concrete floors and external cladding. Large items of client process equipment including vessels spanning up to three floors had to be installed through the roof & facades at an early stage of the project before the building was fully sealed. 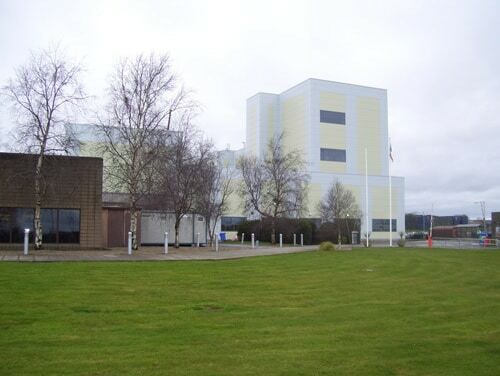 The production area included 2000m2 of high specification cleanrooms over four levels including structural fire rated walls, walk on ceilings, rapid action doors, harmetically sealed sliding doors and epoxy floor finish. The building also included an extensive Mechanical, Electrical, Sprinkler and lifts installation packages. An extensive site works & enabling works package were also incorporated into the works which included the installation of a large number of temporary buildings for both the client and design team, diversion and construction of new roadways and general site works, etc.